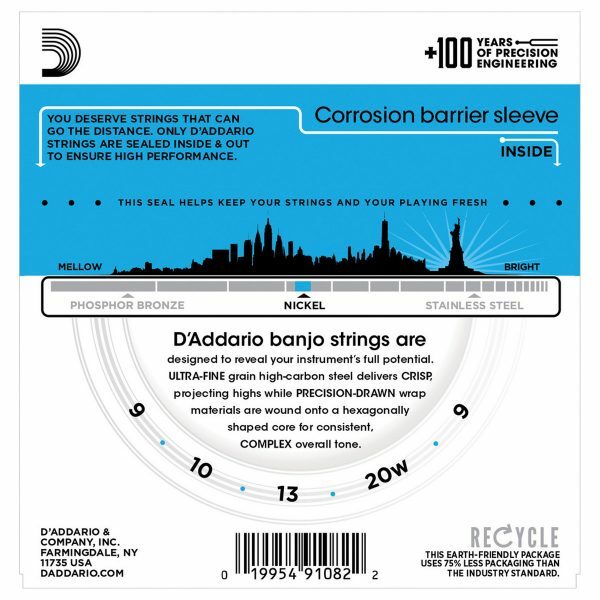 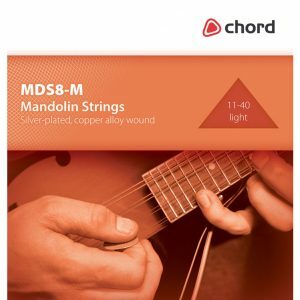 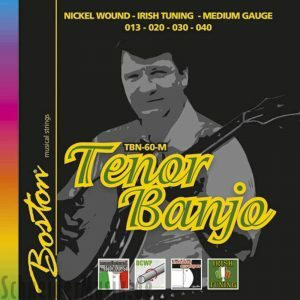 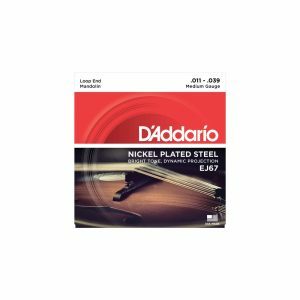 SKU: DAD-EJ60 Category: Banjo Strings Tags: 5 String, 5-String Banjo Strings, 9-20, Banjo, D'Addario, D'Addario Banjo Strings, D'Addario EJ60, EJ60, strings Brands: D'Addario. 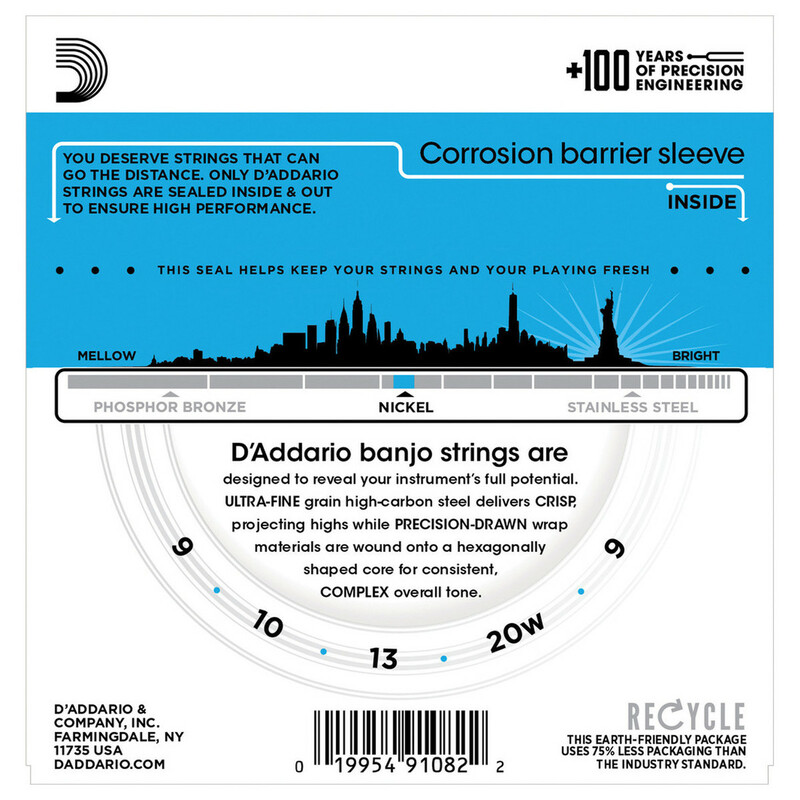 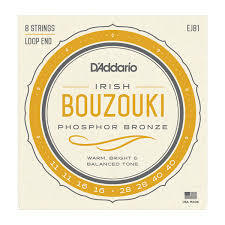 These D’Addario EJ60 5-String Banjo Strings 9-20, are one of D’Addario’s best selling banjo sets which offer light playing tension for comfortable playing feel and brilliant tone. 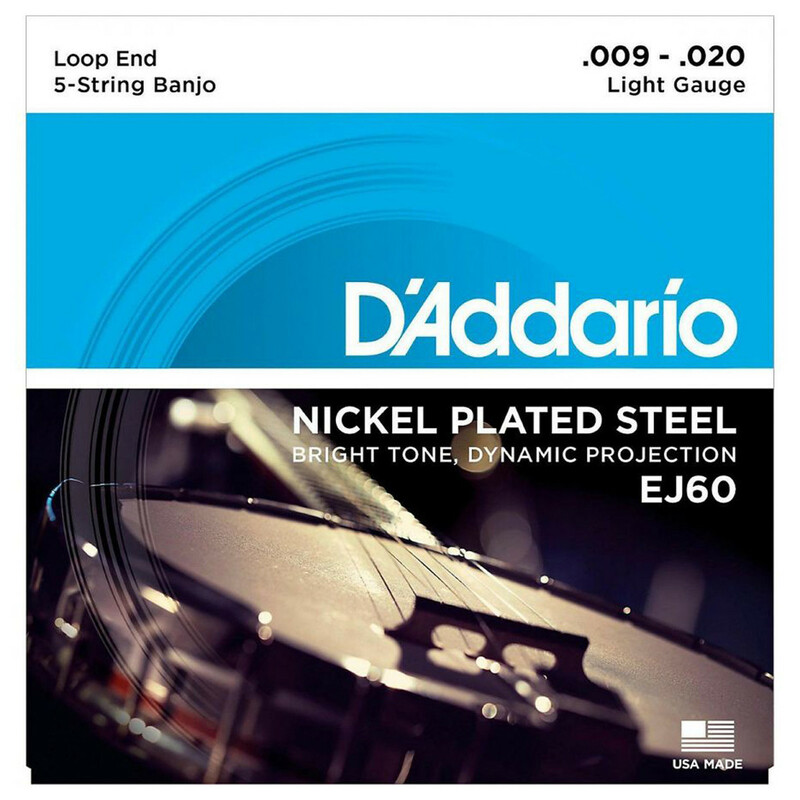 The D’Addario EJ60 Banjo Strings are loop end construction for universal fit.